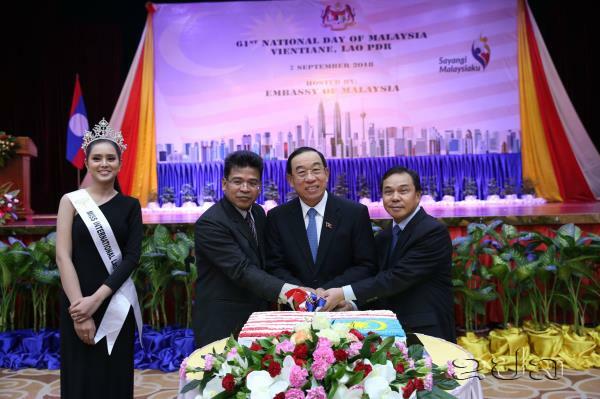 (KPL) The Embassy of Malaysia in Vientiane, Lao PDR hosted a reception to mark the 61st National Day of Malaysia and the 52nd Anniversary of diplomatic relations between Malaysia and the Lao PDR on September 7, 2018. More than 400 guests comprising of the Lao PDR government ministers, Dean of Diplomatic Corps, ambassadors, senior officials, Malaysian Technical Cooperation Programme alumni as well as Malaysians working and residing in the Lao PDR attended the reception. Dr Bounchanh Sinthavong, Minister of Public Works and Transport of the Lao PDR was the Guest of Honour during Malaysia’s reception. 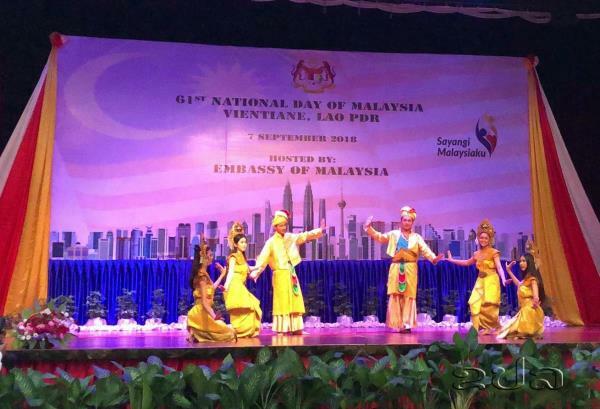 In his welcome remarks, Ambassador of Malaysia to the Lao PDR, Mr. Mohd Aini Atan highlighted that the 61st National Day of Malaysia is truly historic. For the first time this year, it is celebrated under the new government, known as Pakatan Harapan (Alliance of Hope). Sayangi Malaysiaku is this year’s Malaysian National Day theme reflecting on the need for each Malaysian individual to embrace the love for the country, under the new government, led by Prime Minister Tun Dr. Mahathir Mohamad. To recall, the era of Mahathir Mohamad as Prime Minister of Malaysia (during his first stint as Prime Minister from 1981 to 2003) has been very significant for the bilateral relations of Malaysia and the Lao PDR. Prime Minister Mahathir Mohamad has always been known in encouraging Malaysian entities to invest overseas. For instance, the investments of several Malaysian companies into the Lao PDR started during his first stint as Prime Minister. For instance, Public Bank entered the Lao PDR in 1996. 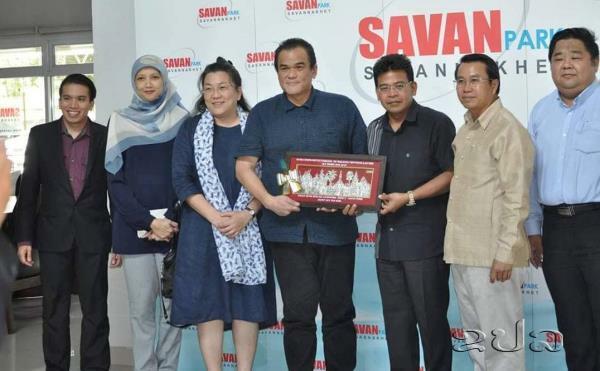 Several Malaysian companies followed its footstep, even though much later such as Savan Park, Toko Insurance and Tan Chong Motor Lao as the venture has been successful and boosted by the confidence shown by Public Bank. Since then, Malaysia has emerged as of the 4th largest Foreign Direct Investor in the Lao PDR. On the incident in Attapeu province, Mr. Mohd Aini Atan informed that Malaysia’s new Foreign Minister, Dato’ Saifuddin Abdullah met his Lao counterpart Saleumxay Kommasith for the first time at the sidelines of the ASEAN Ministerial Meeting in Singapore on 3rd August 2018 and informed on the government of Malaysia’s donation to the government of the Lao PDR of 100,000 US Dollars. The donation was made on 30 August 2018, one day before Malaysia’s Independence Day. In addition to that, Malaysian community in the Lao PDR has also made a cash donation of 25,000 US dollars to the Lao PDR government. Several Malaysian NGOs and Malaysian companies have also come forward with their assistance, namely MERCY Malaysia, Lions Club International Jementah, Johor, Taiwan Buddhist Tzu Chi Foundation (Malaysian Chapter) and Xylem Water Solutions Malaysia. 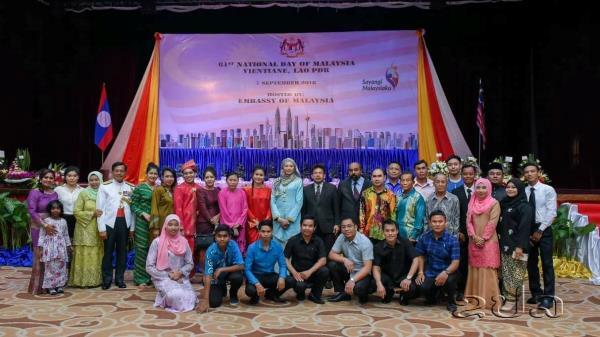 On improving people-to-people ties, the government of Malaysia introduced the Malaysian Technical Cooperation Programme (MTCP), an initiative of sharing experiences and expertise in various fields including education cooperation with MTCP recipient countries. In the Lao PDR itself, more than 2,000 officials have benefited through various programmes since its inception. In addition, Mr. Mohd Aini encouraged Lao students to apply for MTCP-ASEAN Scholarship Programme, who wishes to pursue their postgraduate studies in Master and PhD at Malaysian Universities for the year 2019. The Lao PDR students are encouraged to apply from now onwards for the 2019 intake. 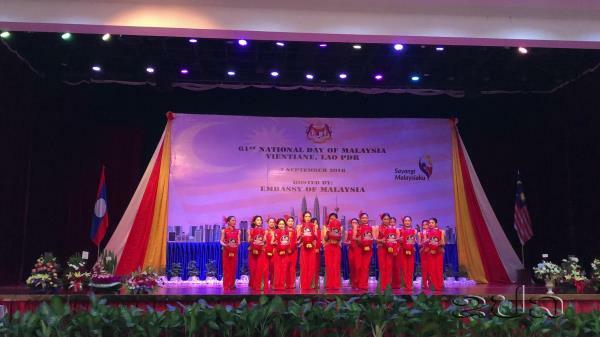 Malaysia is also committed to enhance education cooperation with the Lao PDR. There are more than 100 well known private and public universities in Malaysia and many Lao students are interested to study in Malaysia. To support this initiative, a Malaysia Education Fair, was held on Saturday, 8 September 2018 in Vientiane to facilitate Lao students to study in Malaysia.